Sharing screens is a great way to showcase projects, photos, or videos without having to download and upload those files on the other devices. This is made easy with AllSharePlus. 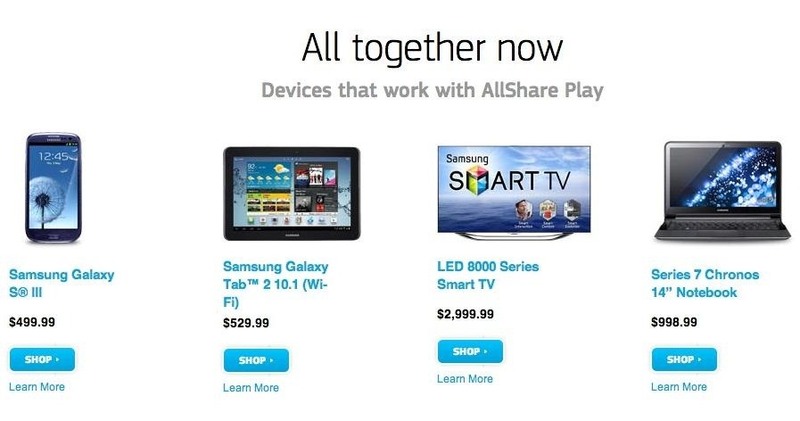 You can download the AllSharePlay application for your Samsung Galaxy S III or Tab 2 right here. If you would like to download it for sharing on your laptop, you can visit the Samsung website. For now, the desktop app is only compatible with Windows XP or Windows 7 and the devices shown above. Nevertheless, it is great tool for making a presentation or for sharing things from a smaller screen onto a much bigger one. Here is a video explaining how new users can setup their AllShare accounts and settings on their smartphones and PCs. It also shows how easy it is to connect your AllShare account to an external media storage locker like Dropbox for automatic downloads and easy streaming over the web. Here is another helpful video for those of you that want to play or stream movies from you Samsung device to a television. The app will search for and list all nearby compatible devices that will allow for remote playing. Select the device, wait for the video to buffer and your phone will now become a remote for the video displayed on the television. You can also share and view music, photos, and documents with Group Cast. You need to be on the same Wi-Fi network for that function to work. You will also have to set up a pin code to access the file. Once all participants enter in that pincode the file is ready to be shared. It's great for group projects or business meetings. Now that you have everything set up you can begin using AllSharePlus for all your file sharing and space saving needs. 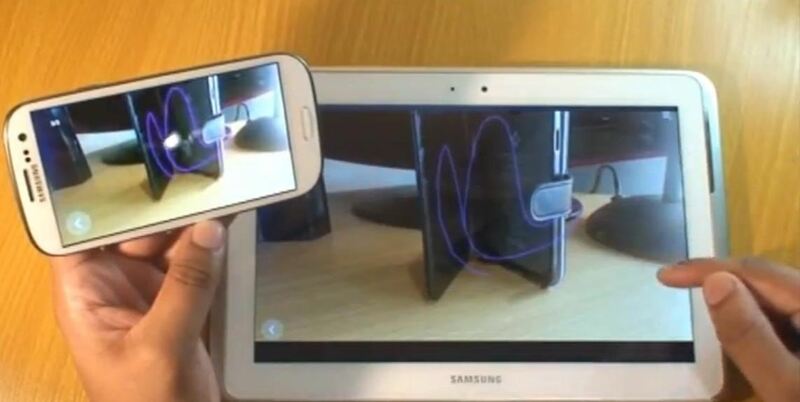 The above video is of AllSharePlus being used on a Samsung Galaxy S III and a Tab 2 10.1. Basically this is fancy file sharing, packaged as screen sharing. Shame. Why are my videos running slow when I have hook up my s3 to the xbox 360???? The picture is like 40 seconds behind thr words????? Help me plzzzzzzzz!!!!!!!! I have galaxy s3 which has screen mirror turn on trying to connect wirelessly with LG tv 46" to screen mirror with unsuccessful. Device not found.